I can’t be the only one searching for a variety of healthy, quick, and filling breakfast options, right? I’ve created several fast, easy, and yummy-in-my-tummy breakfast options such as my Banana Apple Oatmeal Smoothie, Multigrain Waffles, and my Creamy Oatmeal. LOVE them! However, this morning I wanted to experiment with something a little different. Overnight Oats in a Jar are quickly made the night prior (seriously in like 5 minutes or less) and refrigerated overnight. Slice some fresh berries on top and ta-da! Your breakfast is ready. Don’t over look breakfast anymore! Especially not when amazingly scrumptious options like this is available. Go ahead and hit your snooze one more time because your breakfast will be ready and waiting whenever you decide to wake and arise. Oh, did I also mention my Breakfast Quiches. They can also be waiting in the refrigerator for you. Bake some prior and they make an incredible quick, healthy, and filling breakfast. See?!?! There is no reason to skip on nutrition or taste for breakfast. 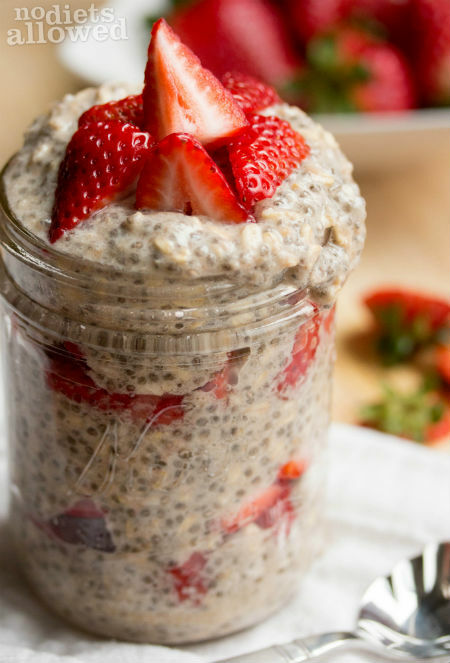 These sweet, satisfying, and creamy Overnight Oats are just waiting for you to devour! They’re also pretty tasty topped with banana or apple slices. Chia Seeds are these tiny little power houses full of incredible benefits. They’re really mild in flavor, but they’re crammed pack of Omega-3s, fiber, antioxidants, protein, and help decrease chances of Type II Diabetes, heart disease, obesity, and much more. 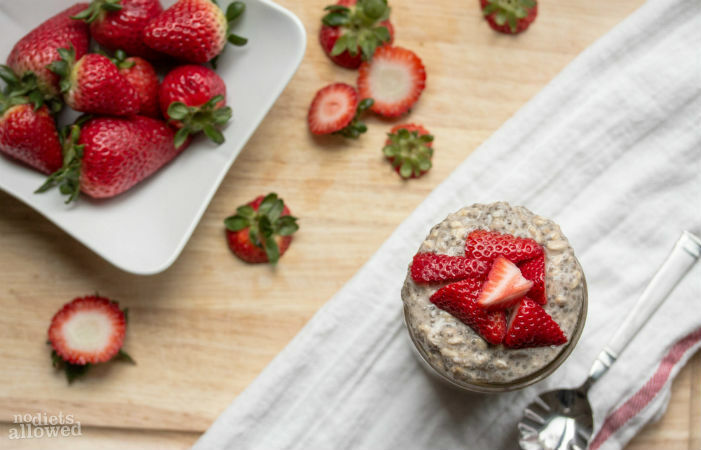 Your mouth and body will thank you for adding them to your overnight oats. 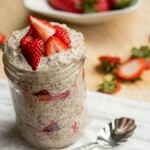 I’m definitely infatuated with Chia Seeds! In a Vitamix blender, add almond milk, banana, and honey. Blend until pureed. Add rolled oats and chia seeds and stir until combined well. Pour into airtight container and refrigerate overnight or at least 6 to 7 hours. Serve with fresh berries chilled. I love overnight oats! So many options. I really like to add protein powder to mine too. Great question, Christina. 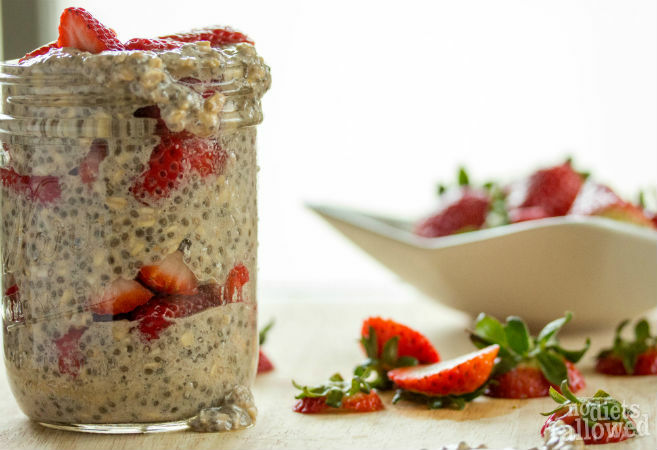 Chia seeds are really mild in flavor and you actually don’t even notice the taste in recipes.